Microgaming is responsible for powering many online casinos but this is one of the top choices for all players. Golden Riviera Casino has a lot of experience and a full collection from the famous provider to offer more than 500 pokies by download. 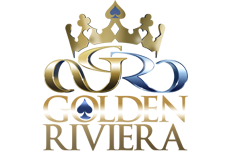 Golden Riviera is one of the oldest and biggest online casinos that use software from world-renowned developer Microgaming. The site grew along with the collection from the provider to now have more than 600 options available through the downloadable application. This is free and easy to install, while players who want to opt for the non-download version will only get about 300 games in total. The website has a royal theme with casino touches and it presents the many aspects that make it a top choice in Australia and all over the world. The millions in progressive jackpots offer a sample of how much players can win here and it all starts with a first deposit that is going to be matched 100% by a bonus of up to $150. Two more bonuses will bring the package to $1,400 in total. Golden Riviera Casino is licensed by the Malta Gaming Authority and certified by eCOGRA for fair gaming. The welcome package will appear to be very good at first as it offers up to $1,400 for free. Players can get this amount by making a deposit and getting 100% for $150. It then continues with a 25% bonus of $500 and another offer on the third deposit of 50% for a maximum of $750 free. More benefits for playing at Golden Riviera Casino come with every bet since the casino is on the network with the Vegas Loyalty Lounge Programme. It works by awarding points for real cash bets and this helps determine the Lounge Tier while providing the option to redeem them for money. The casino promises more than 600 games and it delivers with a collection that now has over 660 options and just continues to grow. The application will present a glamorous lobby with the available categories to easier select the ones each user likes the most. Australians will have hundreds of pokies and the big options are available on the instant version too. The list goes on to include more games so be sure to check out all of them. Sophisticated gaming is brought directly to your smartphone with the help of Golden Riviera Mobile Casino. Unlike the desktop version, the mobile games do not require a download and are only available on the mobile site. There are three ways listed on the website for playing the mobile games and users can choose to scan the code, have a link sent by text message or just go to the website. Microgaming has dedicated games for smartphones and tablets on its Spin 3 platform and this helps the gaming options maintain the same level of detail while working better on touchscreens. The controls and the buttons will change slightly for some of the slots in order to make sure that no space is wasted and that the interface is easy to use with a touch of a finger. Although the list of mobile games at Golden Riviera Casino is not that big when compared to the hundreds of titles available on desktop, the big pokies loved by players in Australia will be available, such as Tomb Raider, Thunderstruck and even the huge progressive slot Mega Moolah. Playing them can be done on iOS, Android and Windows mobile devices thanks to the modern software that changes the site automatically when accessed. Crossplay: You can use the same account on the mobile casino and on the desktop casino. The page aimed at new mobile players will display the large bonus which is actually the same $1,400 package available for all customers who are just starting out. Go to the casino from any of our links and you will start the mobile gaming journey with 100% on the first deposit. Golden Riviera Casino does aim to make its mobile platform easily reachable by players and given how fun mobile pokies are in Australia, it is nice to have the three different options to connect. The easiest one is to just search for Golden Riviera Casino and open the link on the web browser. Alternatively you can scan the QR code or have a SMS sent to the phone. Go the cashier and make a deposit. Select a game and play to win real money! The available currencies depend on the payment method but most of them accept AUD, CAD, USD, EUR, GBP and CHF. The website keeps things simple with only a few languages that are sure to please the majority of players. English is of course the most used one but players at Golden Riviera can also select French, German, Swedish or Russian. Customer support is just as good as we expected from such a big online casino brand. The service is open at all times and is available in multiple languages by email, phone and live chat. The operator uses 128 bit encryption for its deposits and this makes them very secure. It also guarantees a fast processing time for withdrawals so that users can get their money within a few days. Australians have a good selection of payout methods to choose from and accepting Australian Dollars as a currency option is always nice. All the Microgaming titles are eCOGRA certified and they have their recent payout rates listed in the certificate. Online betting is not just about winning and Golden Riviera believes in giving back every year. Money is raised with the help of its clients and donated to people in need through different charities. There aren’t many online casinos that have such an extravagant design for the website and this really helps get players into the mood for betting in a casino. Some of the games from Microgaming are featured as part of the style and jumping in requires a download for the full experience. Unlike other top Australian casinos, Golden Riviera encourages players to install the app and bet from it rather than play on the site. This can take a few minutes and is easy to use once it is set up, with more than 600 games making the effort worth it. One of the drawbacks is the welcome package that only offers 100% on the first deposit and the bonus is limited to $150. The other two bonuses have better limits but lower percentages and the promotional offers are not as appealing as we would have liked. With that being said, the banking and the customer support services for Australia are perfect and the overall rating says it all. Play at Golden Riviera Casino with your $150 Bonus Now!